In our current economic climate, many families are without additional financial resources to enroll their kids in summer camps this year. From neighborhood scavenger hunts to beach combing, there are plenty of ways to keep kids entertained active while reinventing summer on a budget. Organize a water play day. You don’t need a pool to keep the kids cool and in motion. Turn on the sprinklers and have them create their own obstacle course, trying to hurdle over or limbo under the spray. Fill *water balloons and have a contest to see who can throw them the farthest, and then enjoy a chaotic balloon fight, running, ducking, and dodging. Water balloons have near endless game possibilities: hot potato, balloon toss, and balloon-on-a-spoon relays are a few. *Because they break into several small pieces, water balloons are not recommended for children younger than three years old. Plan ahead and take pictures of landmarks in your neighborhood: a unique oak tree, a red mailbox, flower boxes, the yellow fire hydrant. Develop and then glue the photographs into a small pad or notebook and have your little “detectives” find the landmarks. At each location, leave a small bag with a piece to an age-appropriate puzzle. Skip, jump, and hop to each clue, until all puzzle pieces are found. Construct the puzzle together at the end. Shell collecting and beach scavenging provides hours of fun and entertainment. Kids are fascinated with shells varied in color, size, and texture, as well as driftwood, sea glass, and pebbles. Take a long walk beachside and collect items that spark your child’s interest. Have him sort them in like groups, and discuss their contribution to the environment. If you are without a beach, lakeside, riverside, or creekside provide just as many healthy and educational opportunities. You don’t need a national holiday as an excuse to have a parade. 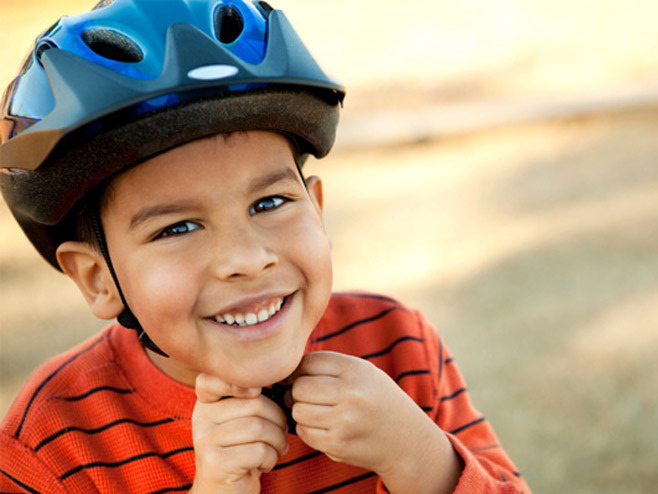 Rally your kids and their friends to decorate their bikes with streamers, balloons, and flags. Make up your own special event, like “Recycling Awareness Day”, and ride with them through the neighborhood, showing off their creativity. Burn calories while encouraging imaginations to burn brighter. Creative, active kids are content kids. Spend some time researching free activities in your area. Check your local newspaper for community outreach events that your children can get involved in with the recreation center, library, or even the humane society.